The Ganga, especially, is the river of India, beloved of her people, around which are intertwined her memories, her hopes and fears, her songs of triumph, her victories and her defeats. She has been a symbol of India's age-long culture and civilization, ever changing, ever flowing, and yet ever the same Ganga." ' Jawaharlal Nehru. Pandit Nehru was right. Ganga has been the centre of attraction since ancient days and the Ganga plains have been witness to everything that has happened in the past. One might wonder how these plains came in to being! The Indian landmass, a floating continent started to collide with the Asian landmass some 20 million years ago (m y). After its separation from South Africa and Madagascar the floating continent must have been like a Noah's Arc carrying all its fauna and flora on its body. The great collision between the two landmasses led to the formation of the youngest and tallest mountain ranges, the Himalayas. Now imagine the scenario of the initial collision. A deep chasm was formed as a consequence of the collision towards the then northern fringe of the Indian landmass. Since the sea (Tethys) was towards the north (where the present Himalayas are), the rivers existing like Chambal and their tributaries were flowing in to this chasm or the fore-deep. Once the Himalayas started to rise a southward drainage developed. The Himalayas subsequently controlled the climate of the newly formed continent, and there started the season of monsoon as well. Proxy records show that it used to pour like anything in those good old days. The river system thus developed because of rains and melting snow started to drain south into the fore-deep. The newly formed rivers were like sheets of water flowing towards the fore-deep carrying whatever came in their way. Over a period of time this chasm got filled up. Mountain building episodes continued. The sediments deposited in the fore-deep were converted to rocks and one of the mountain building episodes brought them up in the form of Siwalik ranges. By then the rivers had carved definite channels and cut passages through the foot hills, i.e. the Siwaliks. Once the rivers reached the plains their gradients became lesser, their hydraulics changed and they started to dump their load. During monsoons these rivers carried a sediment load which was many times more than their normal load. All the material they carried was dumped enroute their final destination, the Sea. Each year these rivers were flooded leaving behind a fresh layer of sediments. The Indo-Gangetic plains are a product of such floods. A recent study carried out by Rajiv Sinha, of Geoscience group, IIT Kanpur has brought to light amazing quantity of sediment load carried by the Ganga River in its present hydrodynamic regime. Gangetic Rivers erode bulk of the sediments from upstream areas in the Himalayas and deposit part of it in the alluvial plains and a significant part in the Bay of Bengal, says Sinha. His study reveals that the Ganga river annually erodes around 749 million tonnes of sediments, mostly from the Himalayas, brings about 729 million tonnes at Farrakka and finally dumps 95 million tonnes in the Bay of Bengal. 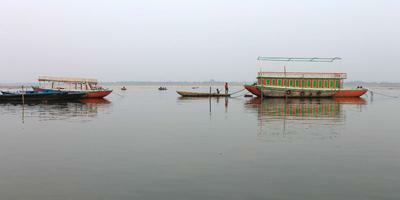 Thus the floodplain of the Ganga gets an annual increment of about 65 million tonnes of sediments. The quantity of sediments eroded by the river depends upon the gradient, distance from the source area and also the geology and geomorphology of the terrain. Thus Ganga at Haridwar and Yamuna at Allahabad are characterized by low sediment yield of 150-350t/km2/yr, while the eastern tributaries like Kosi and Gandaki carry a much higher sediment load of 1500-2000t/km2/yr. Year after year these rivers painstakingly deposit their load on the plains and have resulted in the green belt of the country, one of the most populated areas since times immemorial. The river Ganga starts its 2427 km long journey from Gangotri glacier. Ganga basin has an area of about 1,093,400 sq km says Himanshu Thakur of South Asia Network on Dams, Rivers & People, New Delhi. In a paper 'Experiencing floods as a disaster' he says in Bangladesh 300,000 people lost their lives from a cyclone followed by floods in 1970, and again 138,866 people lost their lives in 1991 in a similar disaster. Later in 1998 and 2004 floods claimed 10150 and 747 lives. Between 1983 and 2005 in Nepal 6982 people died due to floods. In India on an average 1529 people lose their lives due to floods. 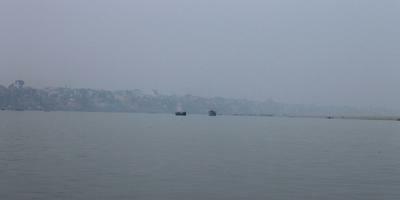 Maximum victims belong to areas covered by Ganga-Brahmaputra-Meghna (GBM) basin. Incidentally Ganga River basin which is normally ravaged by floods form June to September each year is one of the most densely populated poorest areas in South Asia with largest collection of disaster affected people. The total area of Ganga Basin is about 1,093,400 sq km with 79% of the area falling in Indian territory, 13% in Nepal, 4% each in Bangladesh and Tibet. Annually the river system maintains a flow of about 435 billion cubic meters out of which 60% is contributed by the Himalayan Rivers. Some of the major tributaries of Ganga that contribute to its might through the glacial melt are Yamuna, Ramganga, Sarda, Ghagra (Karnali), Gandak (Narayani), Kosi (Saptkosi) and Mahananda. 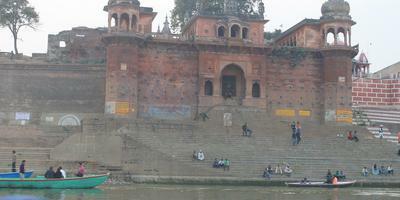 Gomti is one tributary which is not snow fed but derives most water from springs and aquifers. Tributaries from the south Chambal, Ken, Betwa Son, Damodar etc are also not snow fed, but powerful contributors to Ganges discharge particularly in the monsoon. 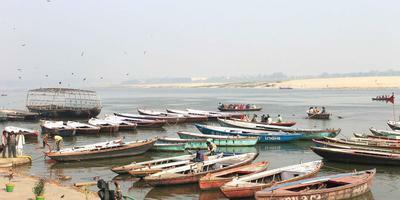 Five medium tributaries of Ganga from Nepal include Babai, West Rapti, Bagmati, Kamala and Kankai. 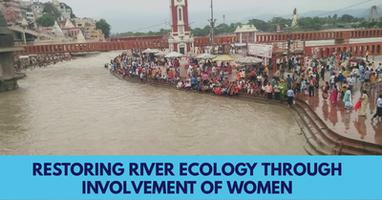 Though considered to be medium their contribution amounts to about 47% of the river's discharge at Farakka. 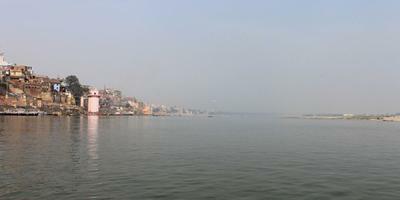 The rivers like Yamuna, Ramganga and Sarda 'mature' by the time they meet Ganga. Such rivers maintain a steady discharge which exceeds the limits during monsoon only. In other words the rate of erosion by such rivers is less compared to Chambal and its tributaries. These rivers have cut gullies and exposed the aquifers. 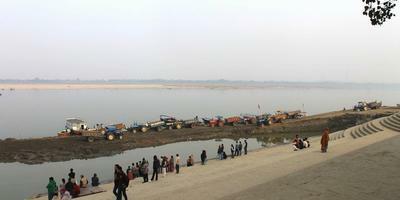 Similar scenes are witnessed in Malda where once the floods recede the river erodes the channel to expose the aquifers. In a rain-soaked country these enriched sub-surface water bodies bring the second spate of floods. 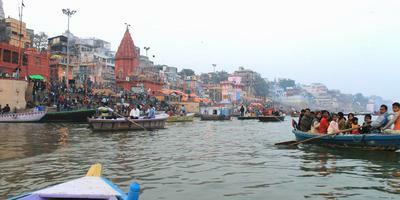 Changing courses by Ganga and its tributaries has been going on since times immemorial. In the recent years since 1925 Ganga has shifted from 4-9 km and the shifting channel is quite a problem for large tracts of land between West Bengal and Jharkhand. 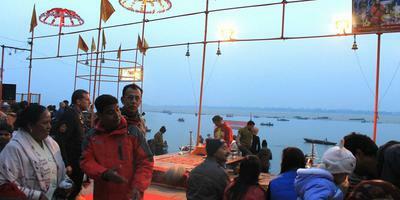 The behavior of Ganges is well known, yet the problem occurs every year. This is because the spurt of population has driven people to occupy the flood pathways of the river. As long as the river is within its channel no one feels the pinch. The moment it tries to occupy the flood pathway, over which the river has all the right, people feel the pinch. It is for the government to check people from settling down in such areas.